As experienced chartered accountants, the team at Keith Willis Associates is proud to provide a range of specialist accounting services to specific sectors. Our team can provide accounting advice tailored to your business’ individual needs. With a team of accountants who hold a wealth of experience from various industries and sectors, Keith Willis Associates is perfectly placed to provide industry-specific accounting which is tailored to your business. 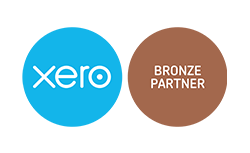 Whether you require proactive financial advice to help maximise profitability and growth, or you require ongoing taxation assistance and bookkeeping for complex accounts, we are here to help. To find out more about our specialist accounting services, take a look at our sector-specific pages, or contact us to discuss your requirements. We’re based in Nottingham, and offer a passionate, dedicated and highly skilled service to all our specialist clients.